We spoke to Lisa about how fashion is in her blood and her how she got her inspiration from her Grand Mother who was a designer in NYC.We also showcase some of the looks she has in the boutique and how she curates and shops for each piece. I always knew from a young age I wanted to someday have my own store. I believe retailing is in in my blood. I was inspired by my spirited grandmother who was a New York designer for my grandfather’s chain of woman’s stores. Her closet wasn’t big but her clothes were gorgeous. In the early 90’s I was ready for a change and went to the wholesale side. I worked as a sales representative in the gift Industry for 14 years. Took a little time off to raise my foster/adopted daughter.In 2012 opened a designer resale boutique with a friend in Solana Beach. Soon after purchased an existing store called La Femme Chic. 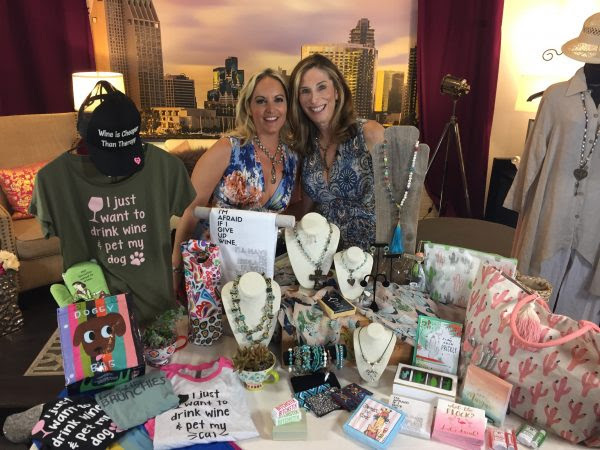 Fast forward to 2015 when I opened Bubbles Too Boutique with the owner of Bubbles Boutique, Gayleen Nichols. In 2016 I bought her out and created Be Boutique In our little Italy location. I believe all my life experiences culminated into my fabulous little store. Mention the Pulse at Be Boutique for 15% off your purchase! Today we’d like to introduce you to Lisa Harrison. Retail is a way of life in my father’s side of the family. I continued in the tradition. A degree in Merchandising landed me my first adult job at Imagnin’s flag ship store in San Francisco in the management training program. From there, I spent a little time at the best of the best… Nordstrom, Neiman Marcus and Saks fifth Avenue. Worked Children’s to couture, and everything from personal shopping to management. To round out my experience I moved to the other side, wholesale in the gift industry. I spent 14 happy years with one sales organization, Anne Mcgilvray & Co. In 2004, I retired from the industry to be a full-time wife and foster mom. Back to it in 2013 when I opened a New & Barley worn dress store with a girlfriend in Solana Beach on Cedros Ave. A year later I had the opportunity to buy a designer resale store just up the street and merged the dresses into the consignment store. My partner bought me out some time later. The retail bug continued to live with me so I started a traveling boutique that eventually lead to opening a store in Little Italy in 2015. The opportunity to have a store that represents many categories such as gifts, apparel and accessories was my dream. A sense of humor is essential in creating the vibe of the store. Retail is not for the week of heart! There are lots of ups & downs. I remember working into the we hours of the night setting up for Neiman Marcus’s Last Call Sale. Working over long holiday weekends. Not getting a management or buying position that I really wanted. Working trade shows for 8 days in a row then having to tear down the booth before a long drive home. Getting into a couple of partnerships that didn’t pan out. Retail equals long days, physical fatigue, slow days, crazy days and can be all consuming. After all that, the passion lives in my blood and I wake up every day wanting to take on the challenge. So let’s switch gears a bit and go into the Be Boutique story. Tell us more about the business. Be Boutique is a store with humor, style, and a bold-daring-sassy-inspired flare. 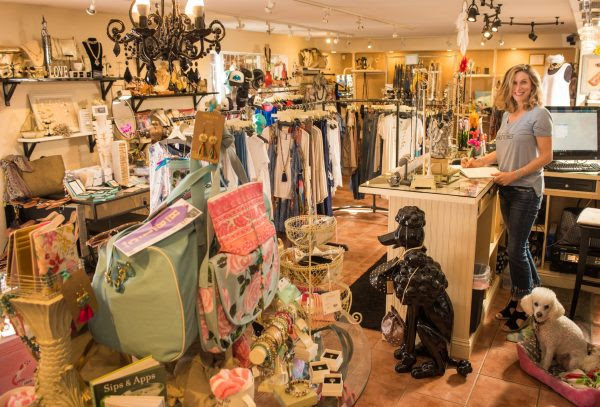 We are more than a boutique – we are a treasure chest for all tastes. We strive to stock (and create) items that make our customers smile and inspire them to be a little more fabulous. LA, Italy, local artists, and more make-up our unique mix of jewelry, gifts, clothing and accessories. Our space is small and our offering is big… it is the perfect hostess gift to a head-to-toe outfit that will wow your most discerning friends. Little Italy is our home and we are as passionate about our neighborhood as the inspired wares we offer. I have a handful of important mentors that have guided me throughout my life. My first role model was my father’s mother. We called her only by her first name, Nancy. She was a dress designer in my Grandfather’s New York based manufacturing business. She had an amazing sense of style and a crazy passion for life. Another unforgettable mentor hired me at age 18 to work in her high end European fashion boutique in La Jolla. This beautiful and intelligent German woman became one of my closest friends as an adult. I continued to turn to her for advise on running my business, sadly she lost her battle with cancer earlier this summer. Another very close friend for the past 40 years ran some of the biggest fashion manufacture in the US. 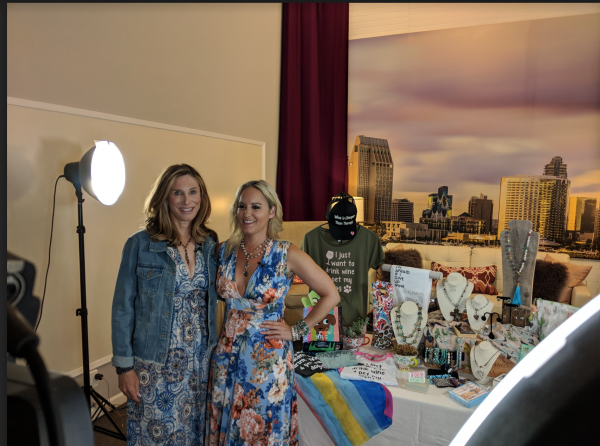 Most recently my last business partner introduced me to some fabulous local jewelry designers. In my retail world my bosses, co-workers, and colleagues of all kinds continue to make a difference in my business. That’s how retail does it.